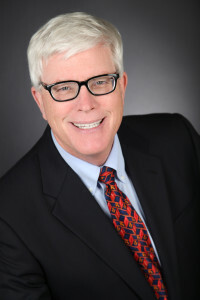 Chapman University Dale E. Fowler School of Law Professor Hugh Hewitt will provide analysis and commentary on U.S. society, politics, and cultural trends at an event, Washington Briefing: Insights and Analysis from the Nation’s Capital, hosted by the Orange County Business Council next Thursday, August 31. The event will be held at The Pacific Club at 4110 MacArthur Boulevard in Newport Beach from 11:30 a.m. to 1:30 p.m.
Brian Calle, Southern California News Group Vice President and Opinion Page Editor, will serve as moderator. Dr. Lisa Sparks, Dean of Chapman University’s School of Communication and the Foster and Mary McGaw Endowed Professor in Behavioral Sciences, will serve as emcee. 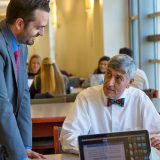 In addition to his role at Chapman, Hewitt is a nationally syndicated radio show host and a contributing columnist for The Washington Post.